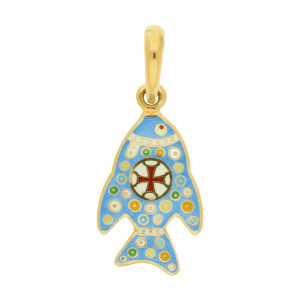 This is a small Russian Orthodox baptismal cross pendant in a simple four-point shape, with straight bars rounded at the ends. 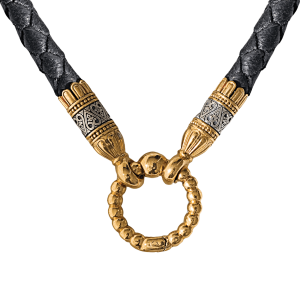 Starting from the 6th century, this shape served as the basis for many Byzantine, and, later, Russian crosses. 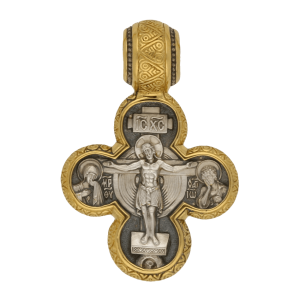 In our case this cross pendant is independent and does not have any additional symbolic or decorative detail, apart from the fixed, round top part. 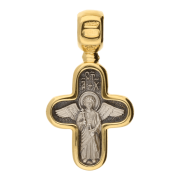 The iconography of the baptismal cross pendant is just as simple and concise. 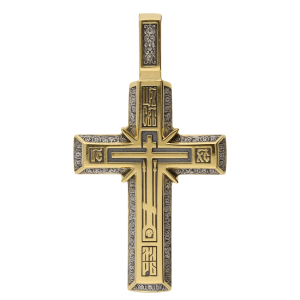 The front of the cross pendant depicts the Crucified Savior on an eight-pointed Cross of Calvary. The figure of Christ is straight and has the proportions of a child, which can often be seen on ancient crosses. These proportions are more expressive if the overall size of the cross is small and the figure fills the available space to the maximum; what is more, they introduce an additional symbolic meaning, marking the Savior as defenseless and meek. As the end of the Lord’s earthly path, the Crucifixion is spiritually connected with its beginning, Christmas. This “eternal childlike quality of God” is an example for all people, for “whosoever shall not receive the kingdom of God as a little child, he shall not enter therein” (Mark 10:15). 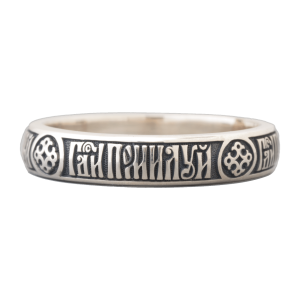 The upper bar bears the inscription I&С Х&С (“Jesus Christ”), which used to be traditional until the 17th century and states that Jesus is the true Messiah, whose coming was promised and foretold in the Old Testament. 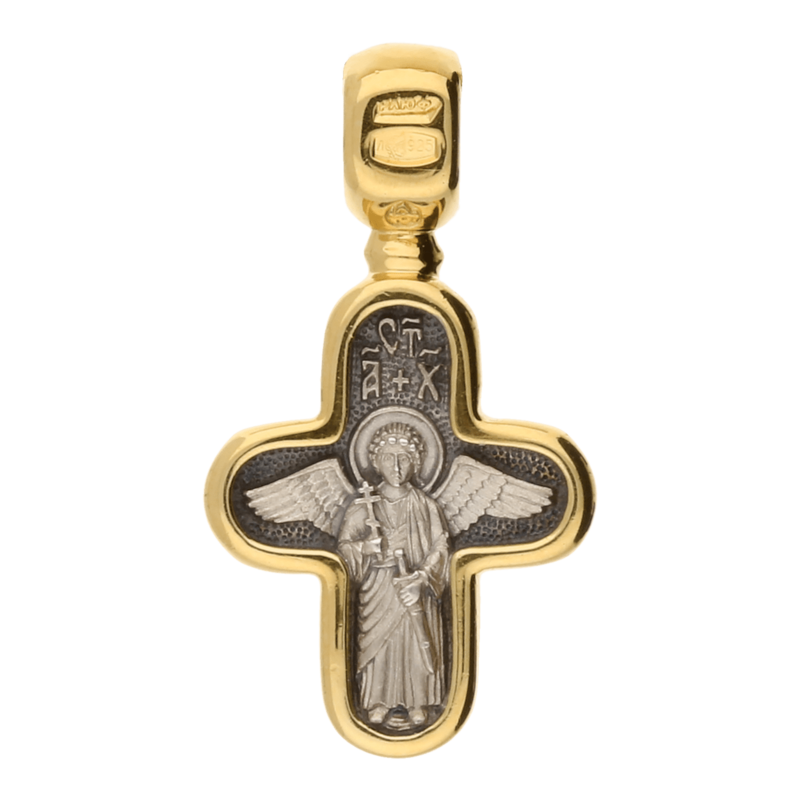 The reverse side of the cross pendant depicts the erect figure of the Guardian Angel holding his traditional attributes: a cross, which he uses to bless the person, and a sword for driving out demons. According to the Orthodox teaching, a Guardian Angel is appointed by the Lord to anyone who has been baptized and accompanies them throughout their life, assisting them in their good deeds and protecting them from being assaulted by evil spirits. The Holy Fathers assert that only a genuine believer has a Guardian Angel at their side: “To those who were honored by baptism and have ascended to the height of virtue God gives Angels to care about them and help them. This is ascertained by the Lord, Who says that anyone who believes in Him has a Guardian Angel” (St. Anastasius of Sinai). However, the Guardian Angel only stays with a Christian as long as the latter does not drive him away by sinful deeds, for, “as smoke disperses bees, so does sin banish our Guardian Angel” (St. Basil the Great). At the end of the Christian’s earthly journey, the Guardian Angel does not abandon their soul, but helps it overcome the so-called trials on the way to the Kingdom of Heaven. The upper part of the baptismal cross pendant carries the short inscription СТАХ (Стый Англе Хранитель) (“holy guardian angel” – the abbreviation comprised by the initial letters of each word followed by the full text). 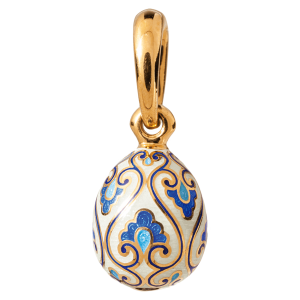 Due to its size, shape and content, this Russian Orthodox cross pendant is best suited as a baptismal cross for infants. The figure of the crucified Savior reminds us that, “for as many of you as have been baptized into Christ have put on Christ” (Gal. 3:27), whereas the image of the Guardian Angel speaks about the great gift we receive from the Lord at the moment of baptism. 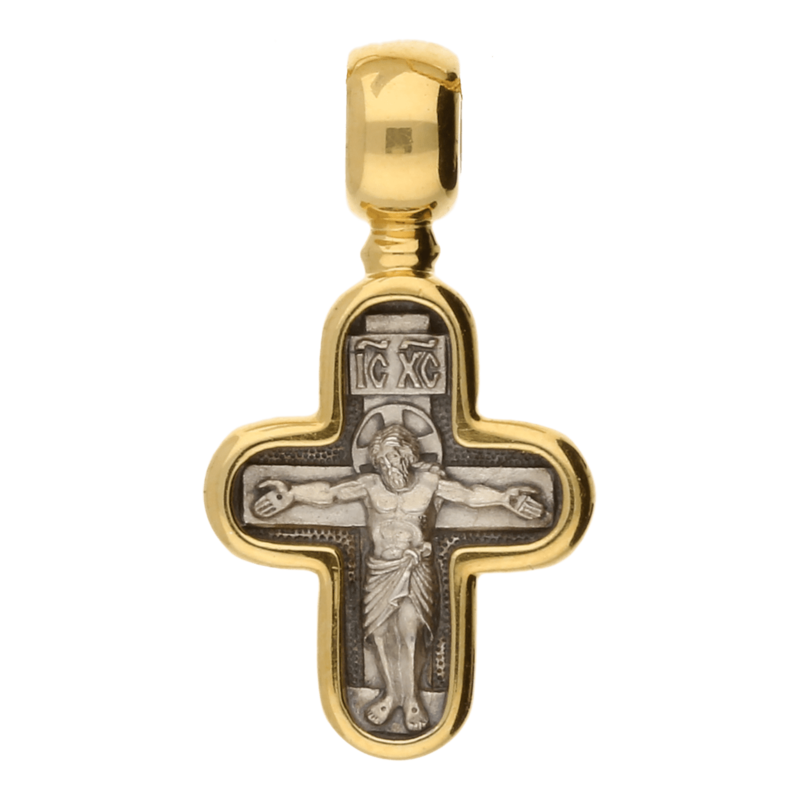 Be the first to review “Small baptismal cross pendant “CRUCIFIXION. GUARDIAN ANGEL”” Click here to cancel reply.